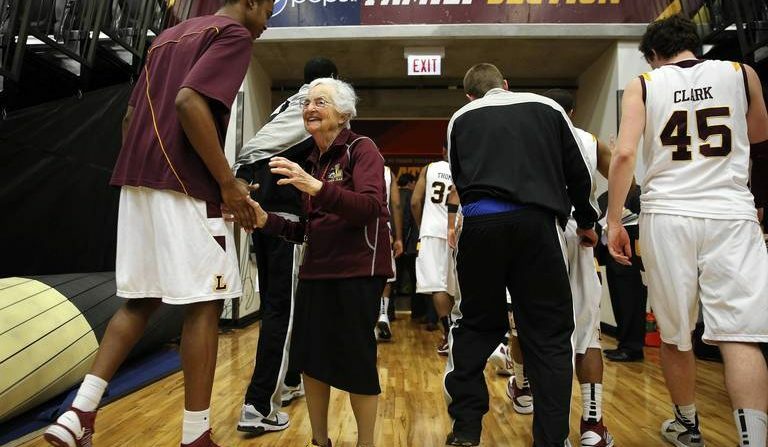 (SP) – Sister Jean Dolores-Schmidt, the 98-year-old nun who acts as the chaplain for the Loyola University Chicago Ramblers, is reportedly close to finalizing a long-term deal to take her services to the Golden State Warriors. Sources with the Warriors say they have been pleasantly surprised with how easy it has been to negotiate with the nun. The Warriors also say they have no concerns about growing whispers that Sister Jean committed NCAA violations at Loyola.